The use of a standard stunner operating with a frequency of 50 Hz causes an increased risk of bone fractures and muscle bleeding, which leads to low meat quality and therefore lower plant-profitability. Extensive tests have shown that by using high-frequency stunning, a significant reduction of the previously mentioned problems will be achieved. In addition, the bleeding process is improved as birds are definitely not killed by the electric shock and the heart accordingly supports the bleeding. The use of a high-frequency system can also be provided for existing plants. 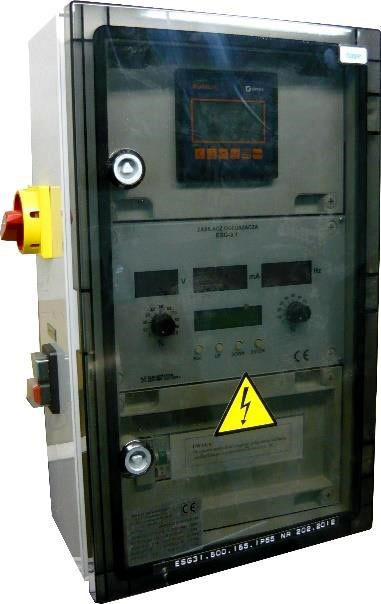 The required control board has separate settings for voltage and frequency. An existing waterbath stunner need not be replaced, as only the control cabinet needs to be changed. A detailed report about high frequency stunning is available upon request.